Hon. Thomas D. Lambros - Mediator & Arbitrator based in Cleveland, Ohio. If you’d like a list of available dates for Thomas Lambros, please submit a request below. You will hear back directly from Thomas' assistant, Audrey Ward. appointment of the Panel On Complex Multi-District Litigation. Judge Lambros' authorship of ADR publications and lectures at major law schools earned him the rank as a legendary pioneer in the field of ADR. 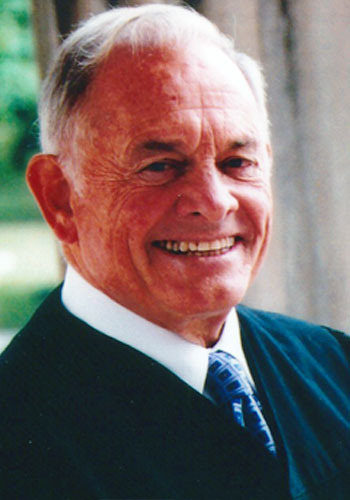 He was responsible for the 'Summary Jury Trial' method of dispute resolution approved for use by the Judicial Conference of the United States in 1984, utilizing a two track parallel management plan incorporating a voluntary litigation track with controlled and phased discovery and a settlement track which proceeds concurrently exploring settlement opportunities.